What was Dr. He Jiankui thinking as he walked onto the stage of the Second International Summit on Human Genome Editing in Hong Kong? He is the Chinese scientist responsible for Lulu and Nana, the CRISPR-edited twin baby girls. The purported goal of this controversial clinical trial? To decrease the likelihood of HIV infection by mutating CCR5, a gene encoding a receptor used by the virus as a gateway into our cells. A baffling choice: CCR5 mutations provide only incomplete protection, and the babies were not in any great danger of contracting the disease anyhow, as the mothers were healthy. Besides, cheaper and more effective ways of preventing HIV infection already exist. Did he expect our sages to adorn him with laurel wreaths? Instead, his work was called disturbing, horrifying, monstrous. It appears that he never fully explored the morality of the project. When confronted with the ethical implications of “designer babies” his reply was: “I don't know how to answer this question.” Welcome back to Earth Dr. He, and take solace in the illustrious company, scorched by the most ordinary of hamartia. The promise of human genetic engineering is not in dispute. And the experiments of a rogue scientist should not blind us to the life-saving opportunities of CRISPR: think of devastating genetic illnesses such as Huntington’s disease. Former Dartmouth College bioethicist Ronald Green says: “If we could use gene editing to remove the sequences in an embryo that cause sickle cell disease or cystic fibrosis, I would say not only that we may do so, but . . . we have a moral obligation to do so.” Indeed, while most genetic diseases are rare, when combined the burden is shocking. Over 5% of newborns will suffer from a genetic disorder. With 131 million estimated births last year, that is an excess of 6.5 million individuals. Clearly, the potential for genetic engineering to do good is boundless. Decent medicine however demands accounting for risks. "Will humanity splinter along artificial genetic lines?" In the 21st century, inequality is unavoidably one of the main concerns. Leaving the availability of genetic treatment to geographic or economic chance — making it a privilege accessible only to some – would be exceedingly unethical. We sport an abysmal track record when it comes to equitable access to biotechnological products and drugs. For example, the TRIPS agreement from 1995 onwards forced all WTO countries to accept lengthy patents on pharmaceutical products, reducing access to medicines in the developing world. Can we expect the situation to be any different for highly complex biotechnologies for years mired in patent disputes? Companies will want to cash in with wealthy patients, leaving the rest behind. Either we offer to modify all individuals affected by a genetic disease, and are capable to do it safely, or the technology should not be employed. Feasibility alone is not sufficient: we must support the CRISPR founders’ call for a moratorium on human experiments. A sensible approach? The public seems to disagree. A recent online opinion poll by Sun Yat-Sen University in China found that over 60% of the 4,700 adult Chinese sampled favoured legalizing edited children to treat or prevent diseases. In the US too, polls by the Pew Research Centre uncovered similar opinions. As more understanding about the experiment percolates to the public, polls might shift. Still, one cannot help but wonder: does a “Gattaca” future await? Are we destined to jobs, social standing, economic status, lives purely based on our genetic makeup, in turn determined by our wealth? Will genetics be our kismet? Will humanity splinter along artificial genetic lines? That is the future that could await us without some form of universal health care and careful regulation. Not only within the UK, but indeed worldwide, we need an NHS able to offer ethical genetic treatments to all, combined with adequate legislation to prevent abuses. Otherwise, affluent families will inevitably find ways to obtain advantageous genetic modifications for their progeny. Is it fair for some people to avoid debilitating conditions when others cannot? Do we want a world whose societies are split by genetic advantages? How much divide will it create? "We must not allow economic inequalities to become enshrined in biology"
Regardless, we are technically far from ready to alter our genetic line. We know too little both about our targets, and the unintended side-effects of gene modifications. 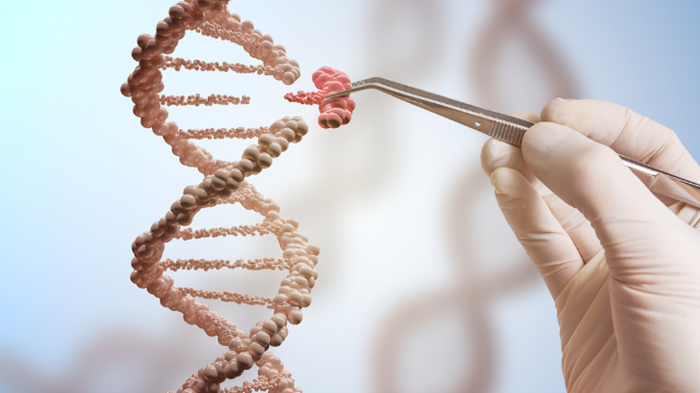 Once hailed as the perfect editing tool, new research suggests CRISPR modifications can have unintended, negative consequences called “off-target effects” disrupting vital, physiological genes. We simply do not yet have the knowledge to tamper with our germline, that which is passed on to future generations. “Premature” – that is how Dr. Eric Topol, Head of the Scripps Research Translational Institute in California, characterised He Jiankui’s experiment. Human germline editing is a point of no return. We will be taking evolution into our hands. That is not necessarily evil, but it must be performed in a careful and regulated manner. Genetic modification is merely a tool – it is morally agnostic. Theoretical physics offers a parallel: hydrogen bombs and fusion energy. The former, our most devastating weapon; the latter, the promise of unlimited energy. The ability to unleash the power of stars to destroy, or to create. We were not ready for nuclear power during the Cold War – nor arguably, even today – and we are not ready for genetic editing now. Dr. He Jiankui should be stripped of his ability to perform research on human gene editing. International laws must be enacted and future transgressors banned from scientific research – public or private. The United Nations governments and the WHO need to come together, write a treaty, ban human germline modifications (scientists have been clamouring for years for a moratorium), and coordinate the world’s future efforts towards the eradication of deadly genetic disorders. Until universal healthcare and international legislation on gene editing become a reality for all people worldwide, we cannot accept the wealthy to further entrench their supremacy through genetics. A 21st century defined by artificial “genetic inequities” is a dystopian nightmare: we must not allow economic inequalities to become enshrined in biology. Just this once, let us leave the Pandora’s box closed; at least, for a little while longer.